A couple of days ago, I came across this like fancy trick to make mushrooms look pretty, and so I learnt that it’s called fluting. I think brown cap mushrooms are best for this so you see the design better with the difference in colours. With a small sharp knife in hand, press the cap of the mushroom gently but surely against the knife. Note that the mushroom is cut by being pressed towards the knife; while the knife stays rather still throughout. Of course, this is done before the mushroom is cooked. I think before this, mushrooms never looked more presentable. 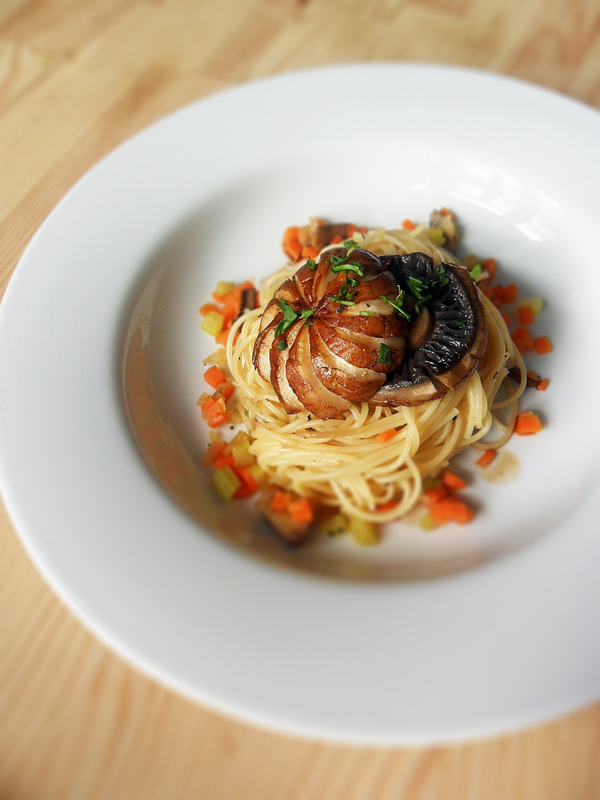 This entry was posted on Thursday, March 22nd, 2012 at 19:30	and tagged with Fluting, Mushrooms, Tips, Tricks and posted in Tips and Tricks. You can follow any responses to this entry through the RSS 2.0 feed.